If you’ve been injured because of a train, or if you or a loved one was involved in a train accident our law firm has lawyers with the experience that can really help you in retrieving compensation for the injuries. We believe in our ability to be effective train accident lawyers. Don’t be shy we want to talk if you’re ready to get the compensation you deserve after an accident. Despite efforts to increase train safety and awareness, Louisiana was recently ranked number five out of 48 states with the most train accidents. Based on Preliminary 2014 Federal Railroad Administration Statistics, there were 58 collisions at train crossings in the state of Louisiana in 2014. There were 13 fatalities as the result of these collisions. The attorneys of Neblett, Beard & Arsenault have been helping people that have been injured by train derailments or accidents in Louisiana for more than 30 years. If you have suffered injury or harm due to a train accident we want to speak with you immediately. It doesn’t have to be a full on crash – if you received an injury because of the train it’s worth calling us. We are a dedicated set of attorneys that deeply care about you and the success of your case. Train operators need to be more responsible for the individuals that ride their train, and when you come to us after your train accident – we will go the distance for you on ensuring you the best train accident legal help in the state. Dedicated – yes we are. Even if they are not fatal, train accidents and derailments can drastically affect individuals’ lives. When a one-ton car is struck by an 18,000-ton train, serious injuries are often the result. Not all train accidents, however, are the result of train crossing collisions. Pedestrians walking along railroad tracks or walking across tracks can be struck and killed by trains when engineers sound train horns too late. 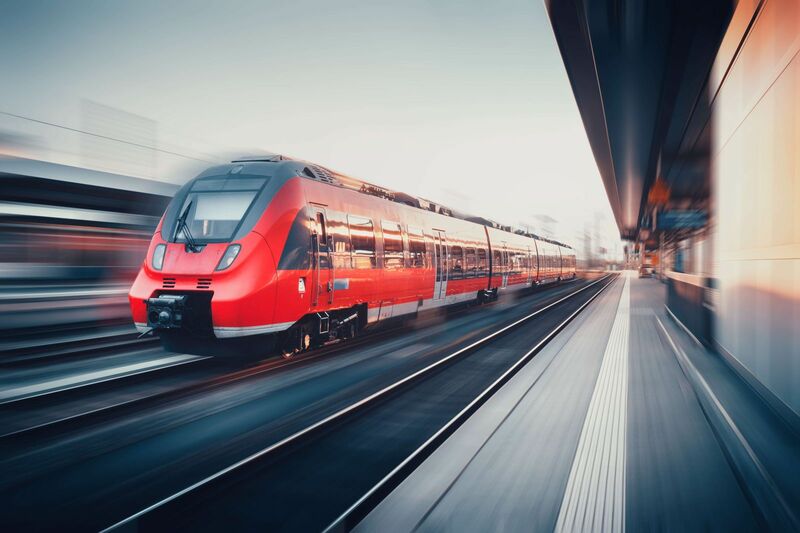 The types of injuries typically sustained in train accidents often require extensive hospitalization, rehabilitation, and can also lead to lost wages and a decrease in overall earnings. Trains also experience derailments, which carry their own types of injuries and harms. Despite recent improvements in the federal requirements for hazmat car safety, derailments often result in spilling toxic substances. Managing these toxic spills can be dangerous, time-consuming and expensive. They can cause an area to be evacuated for hours, days, or even weeks, depending on the toxicity and the amount of the substance spilled. These spills can affect individuals and businesses in the immediate area, but their impact is often felt by the surrounding areas as well. People traveling by cars, motorcycles, bicycles or foot can be exposed to the toxic substances released by a train derailment. People adversely affected by these types of toxic substances may have a case for damages or restitution. Injured from a train accident? Looking for train accident attorneys that are ready to defend you? We can represent you and we can give it our all to ensure the most optimal results. Over the years we have worked in many similar cases and we know that our depth of experience can offer you the best legal choice of your life. Our attorneys have incredibly successful with car accident cases, mesothelioma cases, offshore maritime cases, and more. We’re confident that our experience is the best for your train accident case. The very first step that you can take to help with your injuries from the train accident is to call us. As Louisiana’s most dedicated train accident law firm, we’re ready to launch your case. We waste no time, and we gather the most accurate and compelling evidence to give you a competitive chance of being re-compensated after your train accident. These accidents should never be treated lightly. You deserve an aggressive legal team to take action for you and we know we are that team. Let us take charge, give us a call at this moment. Louisiana injured accident victims have rights, and the attorneys of Neblett, Beard, and Arsenault want to help fight for them. Our attorneys understand that serious accident injuries can have a long-lasting impact on your life, and we will work hard to help you obtain compensation for your medical costs, property damage, lost time at work, and pain and suffering. Personal injury cases can arise from a wide variety of accidents and other situations. Car accidents, truck accidents, slip and falls, exposure to toxic substances, and more are all avoidable circumstances that can lead to the unnecessary injury to a victim. Often, victims suffer serious injuries that leave them facing a difficult recovery or even a permanent disability. When that happens, victims should be able to focus on their health and recovery, not the complex and often frustrating details of a legal case. When you are injured or become ill because of a dangerous drug, defective medical device, or a toxic consumer product, you are very likely not the only person to suffer. When a product harms a large number of people, a court may determine that the case can be filed as a mass tort action, which saves time, effort, and money for each individual plaintiff. Our mass tort attorneys are prepared to take on major manufacturers to get you the compensation you deserve.